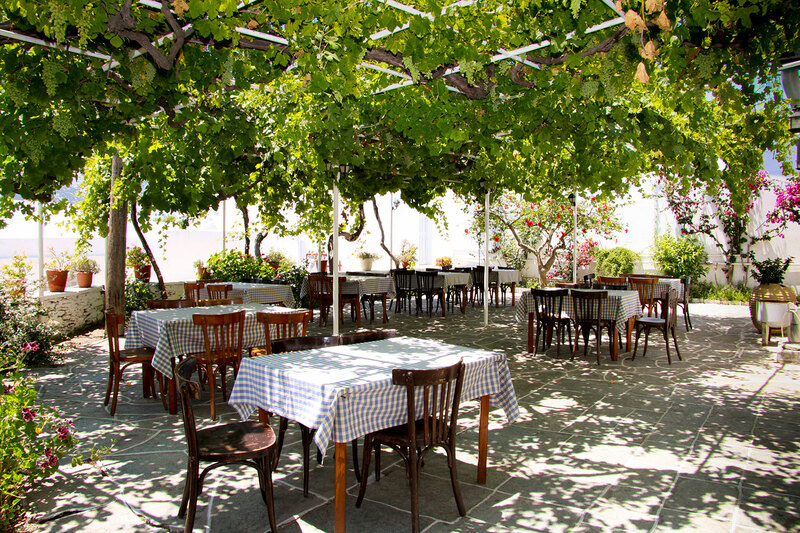 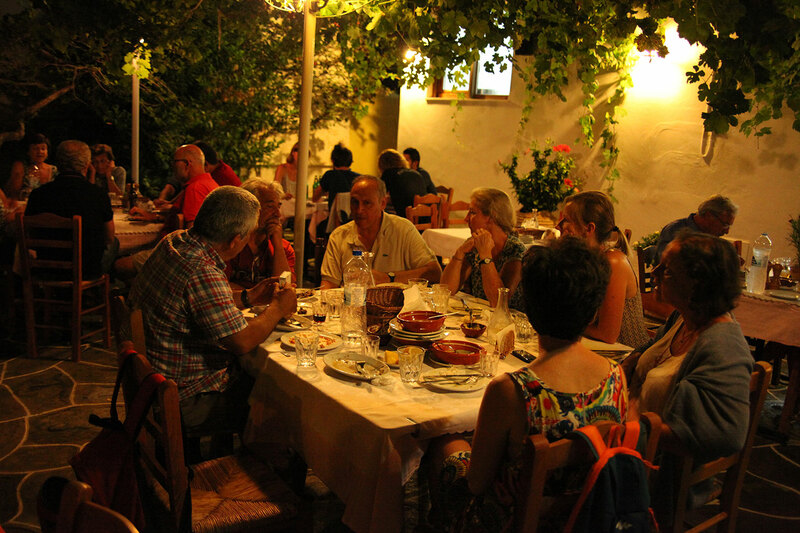 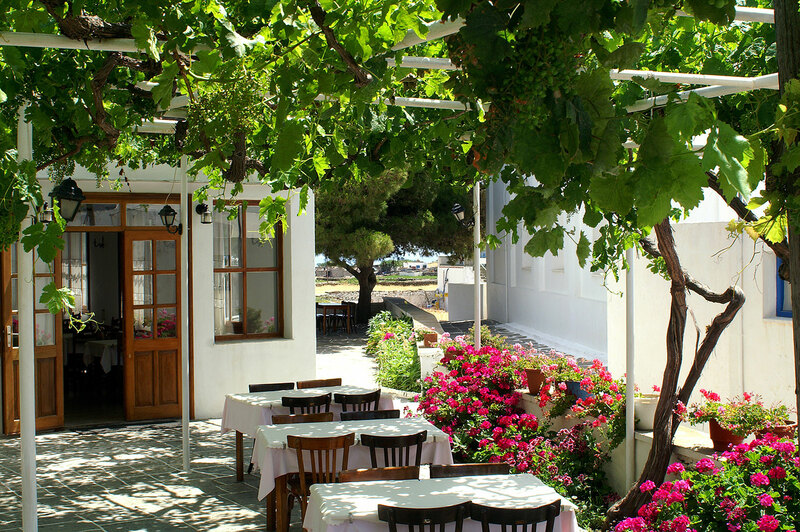 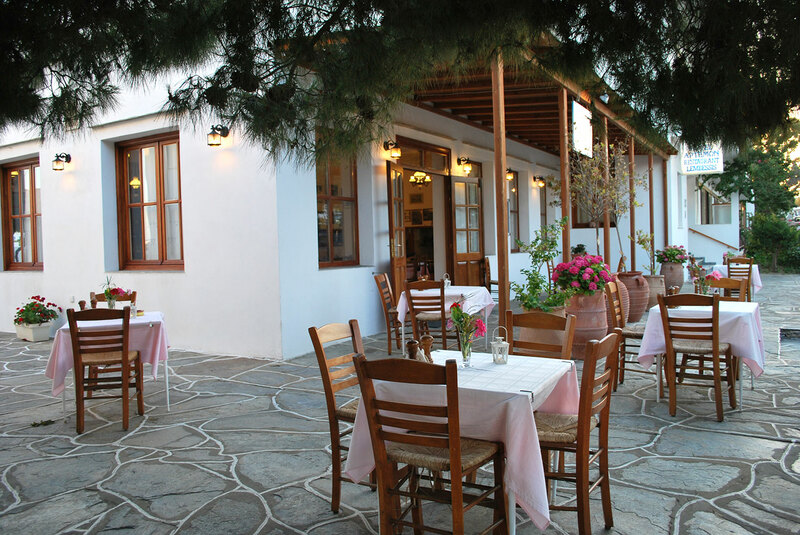 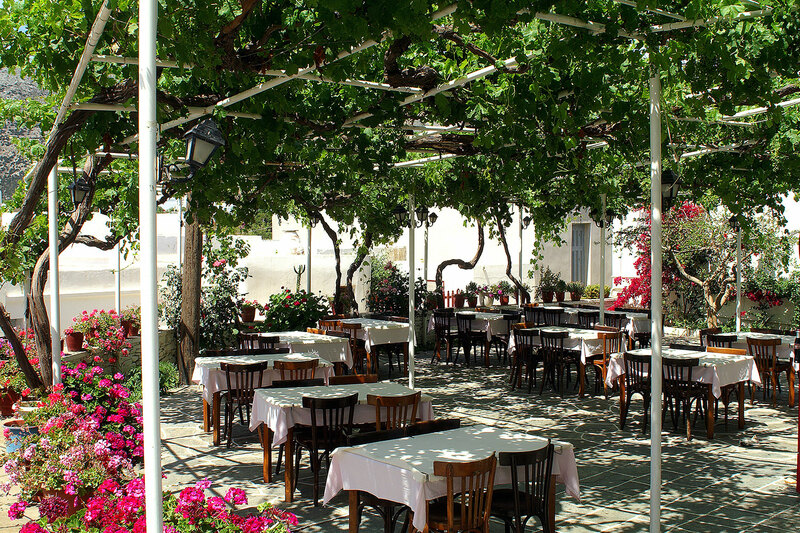 Since 1968 at "Lebessis" restaurant of Artemon Hotel and under the vine of the cobbled yard, we offer to all guests traditional dishes from Sifnos and not only, always using organic products of our own production. 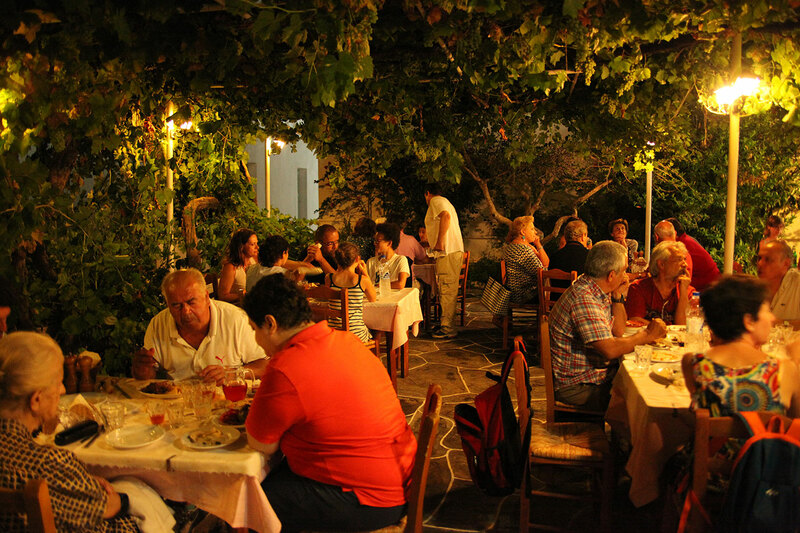 "Mastelo" lamb, caper salad, chickpea soup in wooden oven, string beans with garlic sauce, gingerbread (traditional pastry), are just some of our Sifnian dishes. 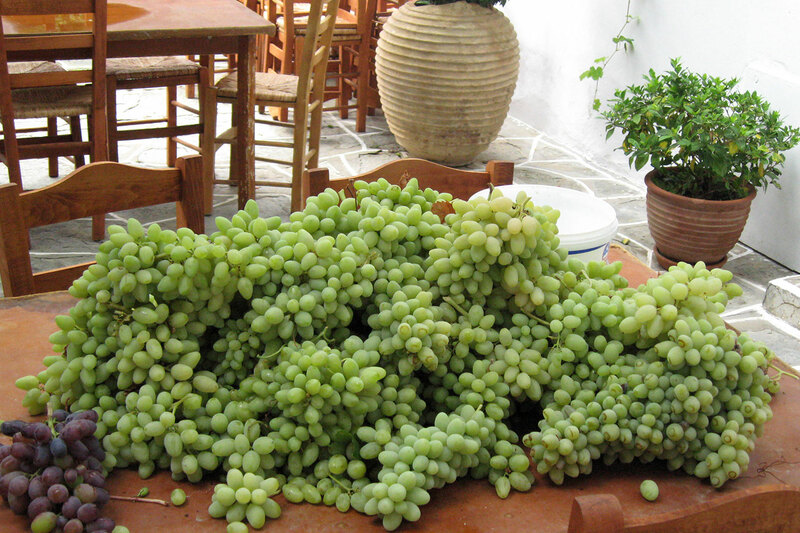 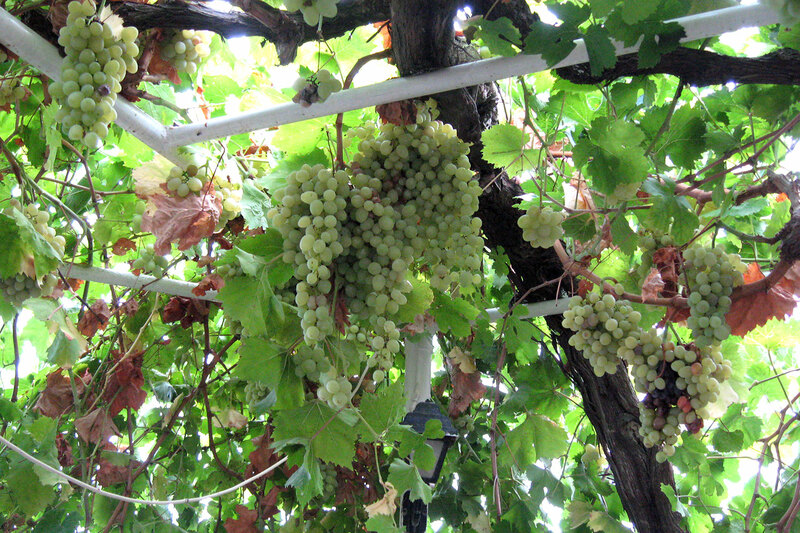 Combine them with wine of our own production from the grapes of our vines. 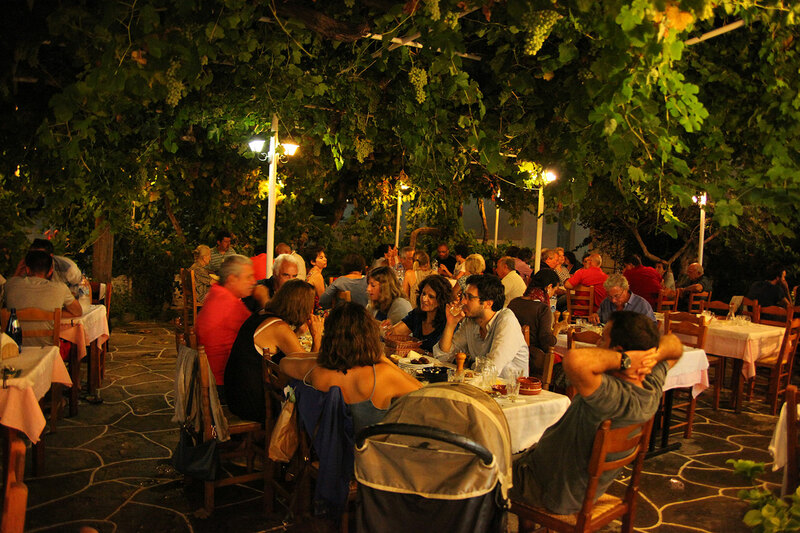 Also, during the Easter season, you can taste all the traditional dishes made with an artistic feeling, with our own organic products. 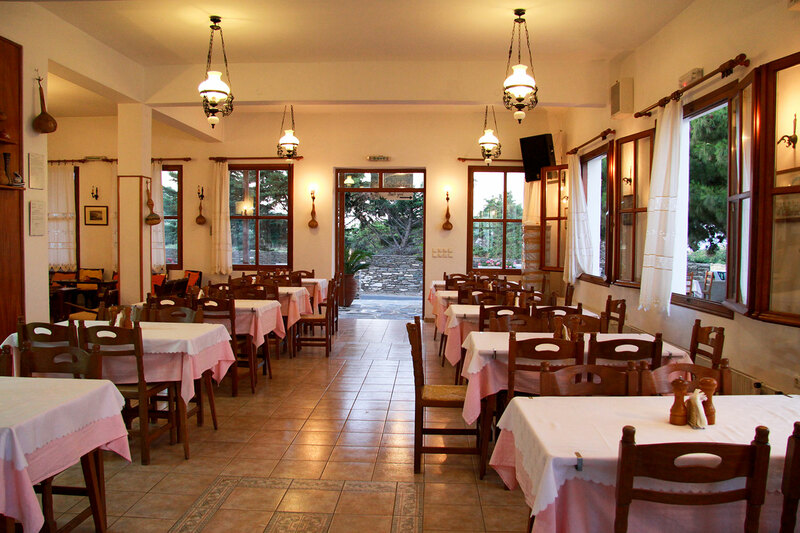 The Paschal menu of our restaurant is well-known and includes excellent magiritsa soup (made from lamp offal), the traditional "mastelo" lamb in the oven cooked in a clay utensil on vine-shoots, Sifnian xinomyzithra (local cheese), red eggs, salad, Sifnian wine and gingerbread, whilst all the other days of fasting we offer seafood and freshly prepared oil-based dishes, salads and appetizers of our own vegetables. 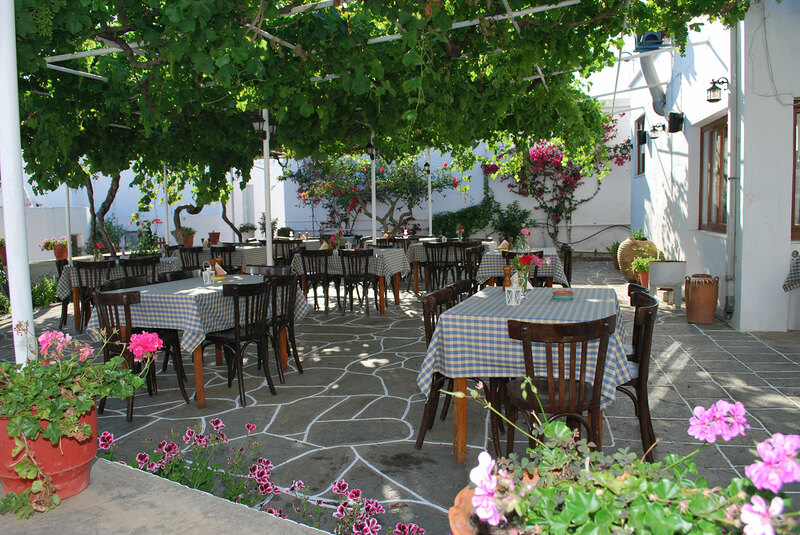 The venue of our restaurant is available for events. 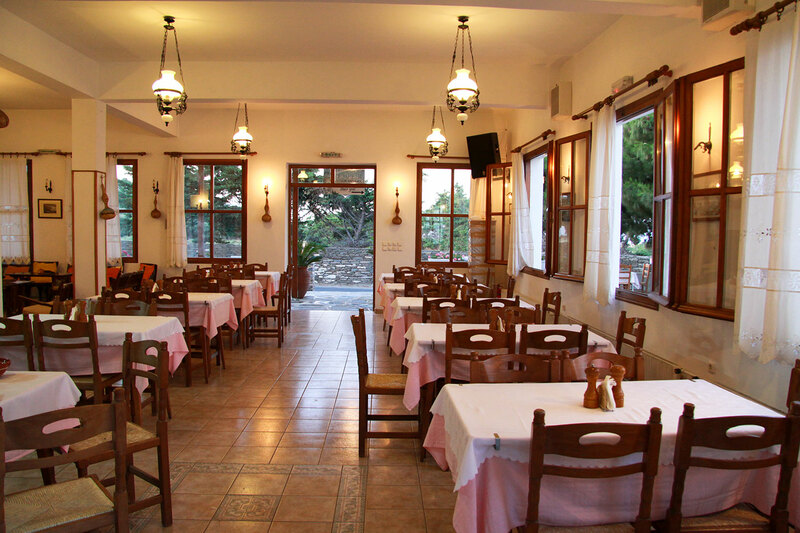 The interior of the restaurant has a capacity of 160 people.